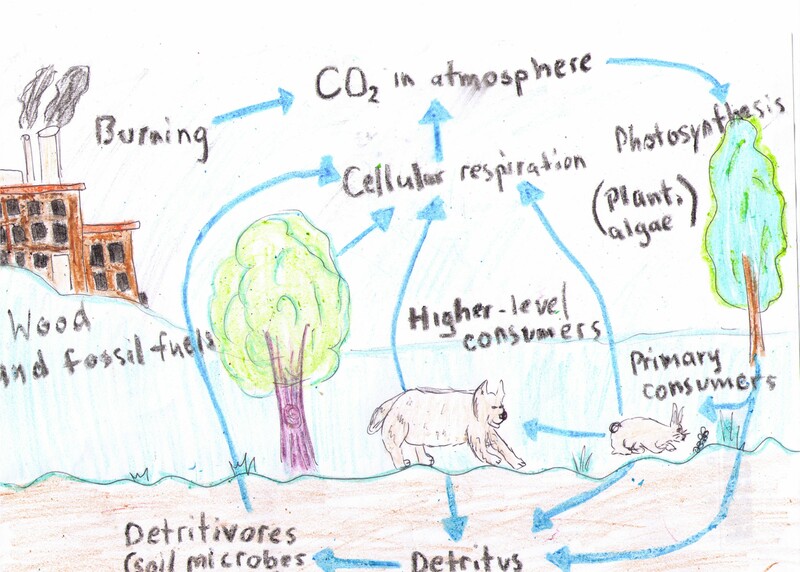 Outline how soil systems integrate aspects of living systems. Soil forms the Earth’s atmosphere, lithosphere (rocks), biosphere (living matter) and hydrosphere (water). Soil is what forms the outermost layer of the Earth’s surface. * Soils are an important source for humans and take time to develop and therefore be counted as a non-renewable resource. Transfers of materials (including deposition) results in reorganization of the soil. There are inputs of organic and parent material precipitation, infiltration and energy-outputs include leaching, uptake by plants and mass movement. Transformations include decomposition, weathering and nutrient cycling. Compare and contrast the structure and properties of sand, clay and loam soils, including their effect on primary productivity. For optimum struction, variety of pure sizes are required to allow root prevention, free drainage and water storage. Pore spaces over 0.1 mm allow roots growth, oxygen diffusion and water movement where as pore spaces below 0.5 mm help store water. 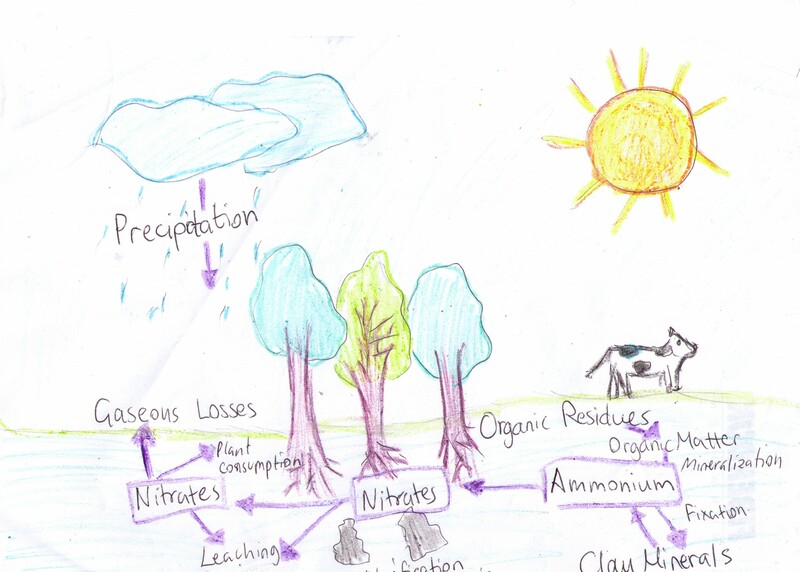 Outline the processes and consequences of soil degradation. *Soil degradation: the decline in quantity and quality of soil. It is also erosion by wind and water, biological degradation (loss of humus and plant or animal life), physical degradation (loss of structure, changes in permeability), chemical degradation (acidification, declining fertility, changes in pH, salinity). 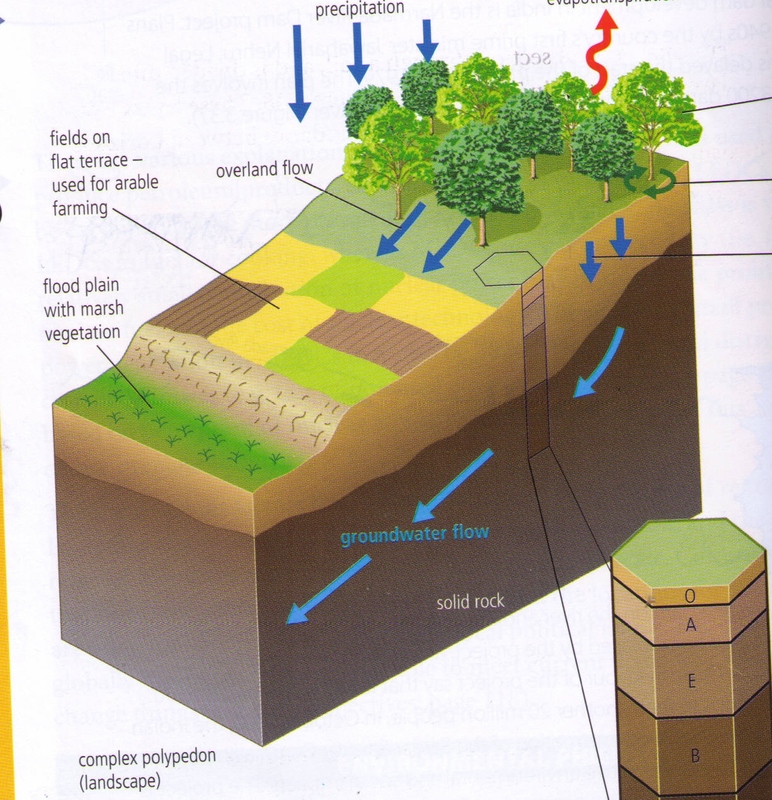 Overgrazing: reduces the vegetation cover and allows the surface to be vulnerable to erosion. Dry regions are vulnerable to wind erosion. Deforestation: removed of woodland cause roots in the soil to die and exposure to erosion if on slopes. Cultivation: exposure of the bare soil before/after planting can cause large amounts of run-offs and create rills and gullies. Irrigation in hot areas can cause salinization. 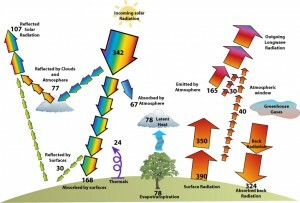 Climate change: the higher the temperature and changing precipitation patterns can lead to direct impacts on soil. Higher temperatures cause higher decomposition of organic matter. More precipitation and flooding cause more water erosion and droughts cause more wind erosion. Acidification (toxification), when the chemical composition of the soil is changed. Desertification can be caused in extreme cases. 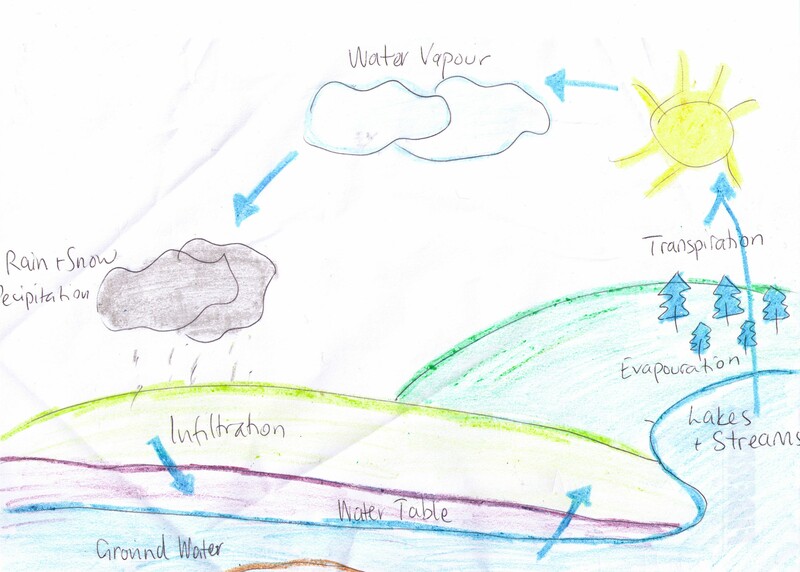 Climate can intensify the problem and effect of hydrology. This shows that the soil degradation’s damage is world spread and has occurred on 15% of the world’s total area. Strategies for combating soil degradation is not so common or widespread and to reduce this risk farmers are encouraged and informed about the processes and conservation methods. Farmers are in the need of beginning with extensive management practices like organic farming, afforestation, pasture extension, and benign (gracious) crop production. However to make this work there is a need of policies. There are a few methods to reduce or prevent erosion, which can be mechanical or vegetation cover and soil husbandry. Mechanical methods: are used to reduce water flow including bunding, terracing, and contour ploughing. The goal is to prevent and slow down the movement of rain water down the slopes. This method is used against water and wind damage. Grass crop keeps the action of the roots in binding the soil and also it decreases the action of wind and rain on the soil surface. with increased organic content it allows the soil to hold more water and reduce the mass, movement and erosion and stabilizing the soil structure. To prevent damage to the soil structure, care should be taken to reduce the use of heavy machinery is necessary especially on wet soils and ploughing on soils that are sensitive to erosion. Both socio-economic and ecological factors have been ignored and integrated approach to soil conservation is needed, non-technological factors like population pressure, social structures, economy and ecological factors can determine the appropriate technical solutions. There are a variety of methods to use like strip and ally cropping, rotation farming, contour planing, agroforestry, adjusted stocking levels mulching, use of cover crops, construction of mechanical barriers such as terraces, banks and ditches.